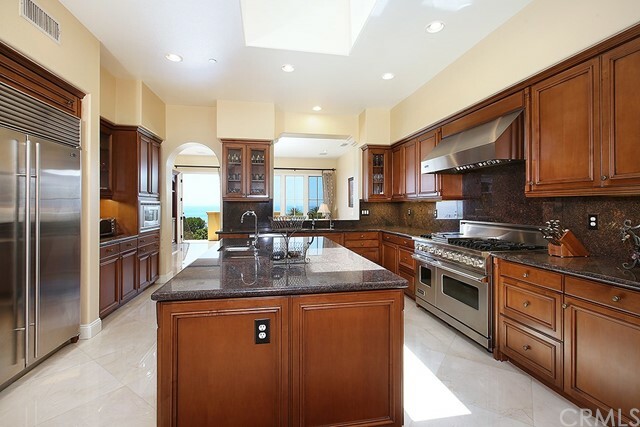 This beautifully upgraded Ocean View property is one of the larger Seascape floor plans - rarely on the market. 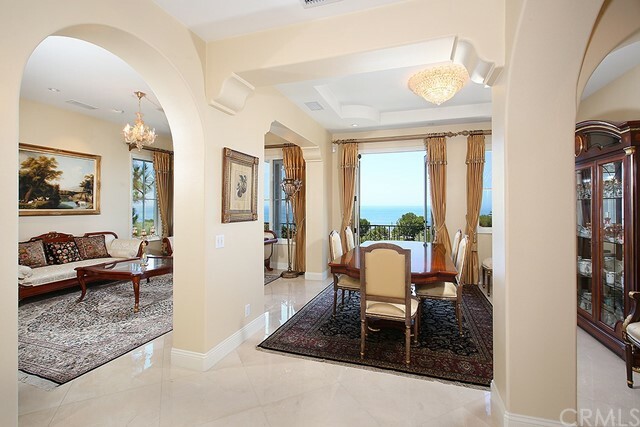 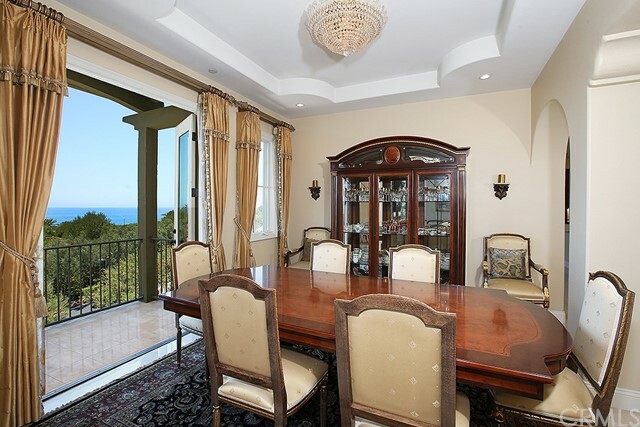 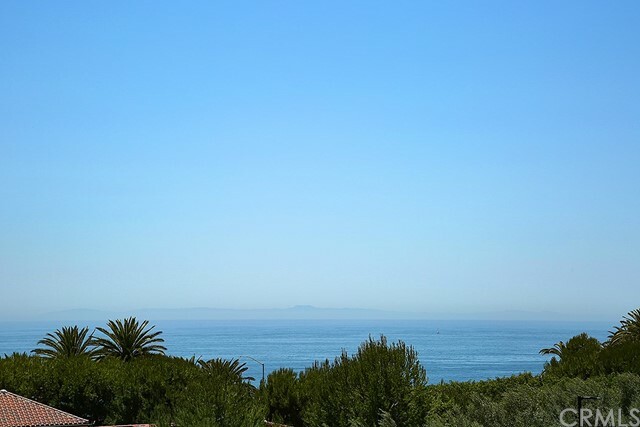 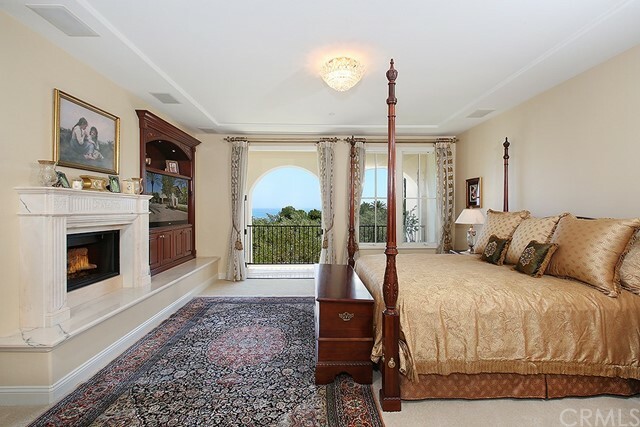 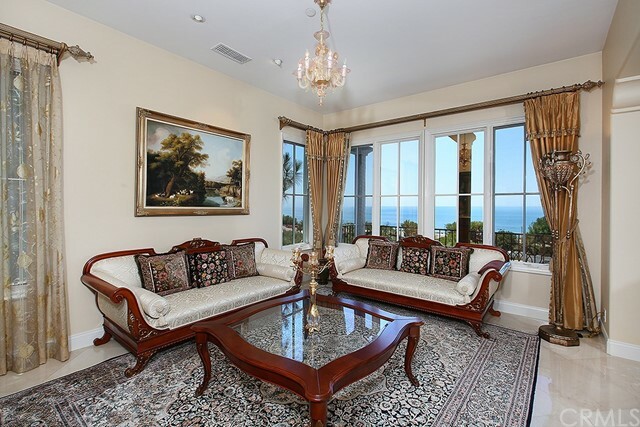 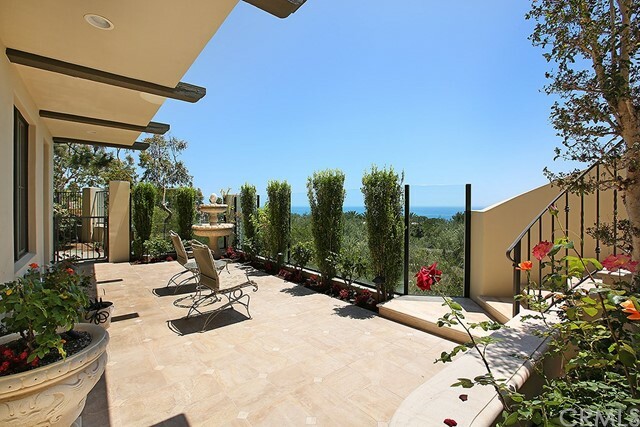 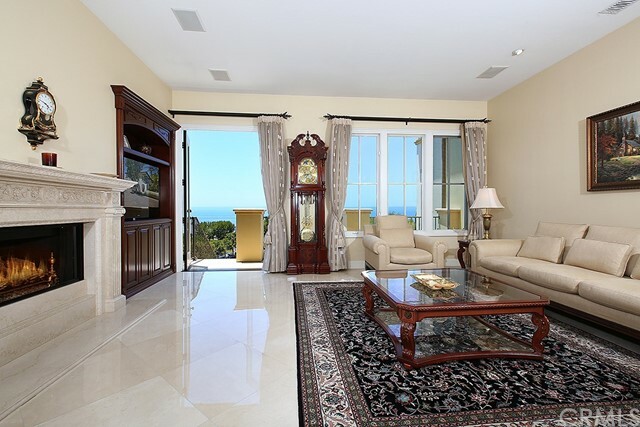 Fabulous location on the front row with stunning Ocean, Catalina Island and Sunset Views. 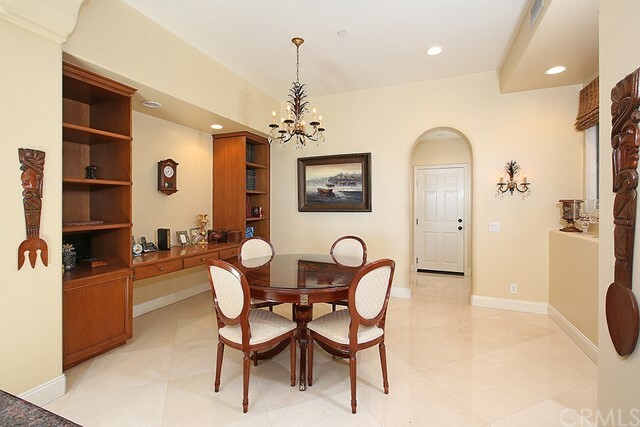 The spacious open floor plan includes a living room, dining room and family room which open to balconies. 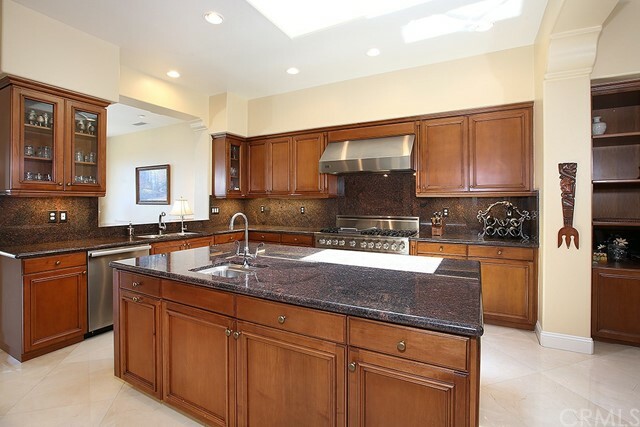 The large gourmet kitchen features granite counters, top of the line appliances, a huge center island with a skylight overhead, a pantry, and a spacious dining area. 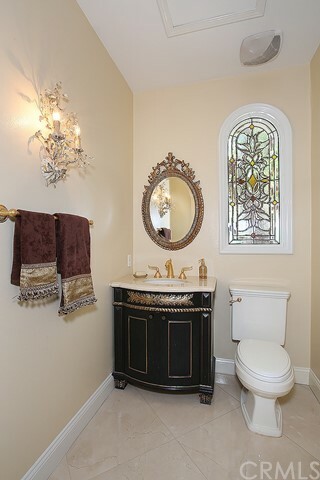 There are many custom features throughout including gorgeous marble flooring, built in cabinetry and 3 custom fireplaces. 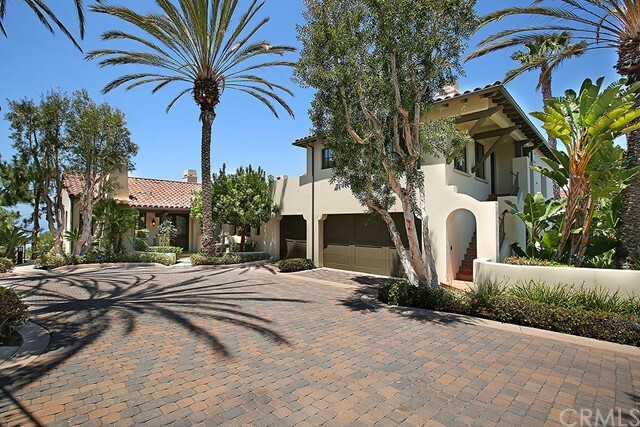 Three bedrooms with bathrooms are in the main house, including the luxurious master bedroom and opulent master bathroom, the fourth bedroom and bathroom is in an outside casita, which has its own patio. 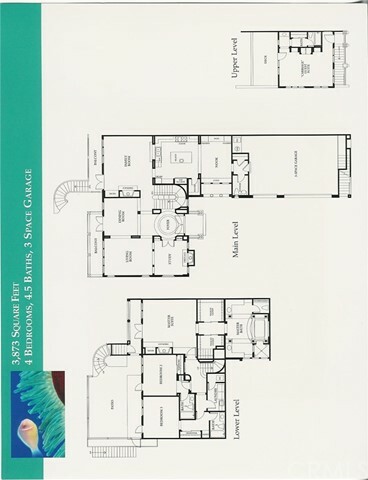 The 3-car garage has 3 doors and is not tandem. 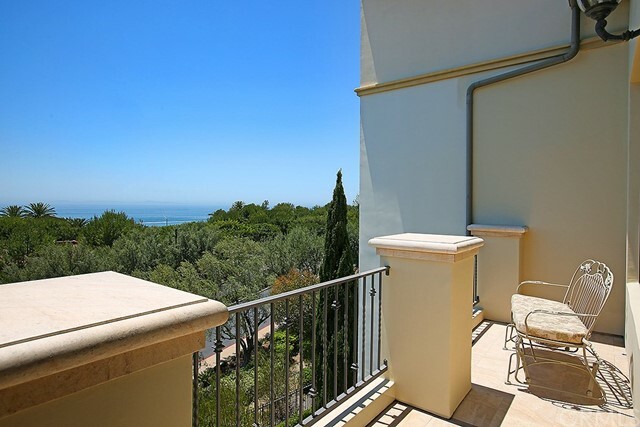 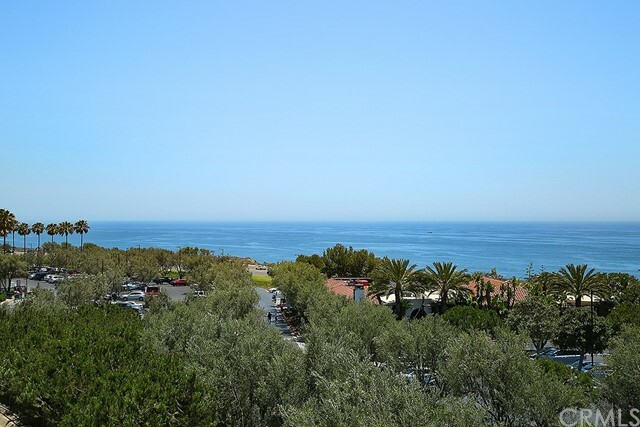 Great deal for a gorgeous view and immaculate property!